It’s Christmas time! I LOVE Christmas when so many hearts are receptive to Christ. This is the time of year when so many people turn their focus to God, even those who do routinely attend worship. It is the prime time for outreach, for sharing the message of salvation. I like to host children’s events just for them while giving parents time to do some Christmas shopping. I also like to encourage events for the whole family to spend time together during the holiday season. This year’s theme… “Santa’s Workshop,” and it can be held either way. 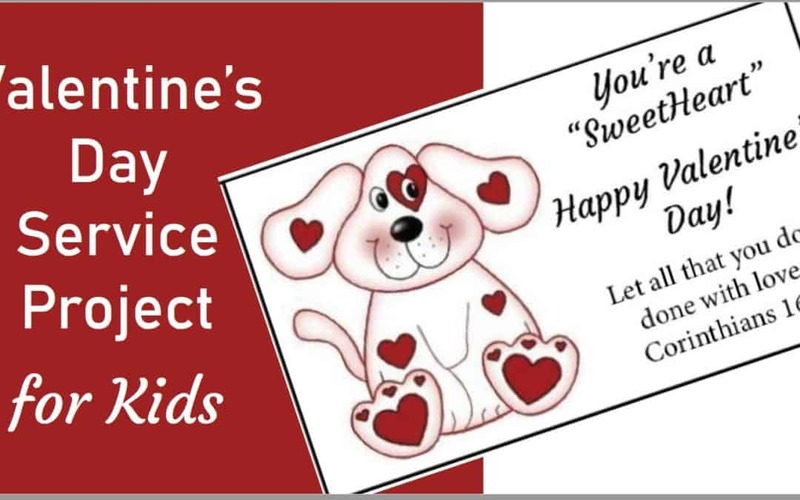 Regardless of which way you go, children’s party or family event, make sure to promote! Get the word out about your event. I recommend having a feature “item” that is the main draw. This could be a play, concert, meal or unique craft. Gingerbread house building is a popular one. 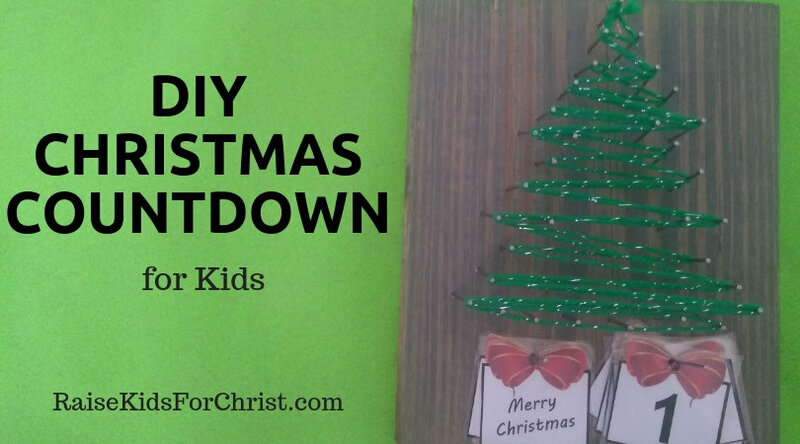 For our Santa’s workshop this year, kids were excited to use a hammer and nails to make there very own Christmas countdown. More on this in a minute. What do we do at Santa’s workshop? For family events, set up centers so families can come and go, participating in the different parts of the event at their own speed. Have a devotional center with times posted for when you start the story each time. You will want this area to be very comfortable and inviting, maybe even offer hot chocolate to sip on while listening. Set up a place for families to take their pictures. You could even have someone stationed at this spot to take the pictures and offer to email them the picture immediately. This way, you get their email address to follow up. Craft stations may be as simple as coloring a picture or gluing cotton balls to Santa’s beard. Go all out and make elf slime! Games? Oh the fun you can have! Check out Pinterest if you can’t think of anything. I was prepared! If we finished early, we were heading to the playground. I didn’t forget! I told you I’d tell you about the Christmas countdown trees. Here’s a video showing you just how it’s done. They are easy and something kids will keep. I did not do this, but I wish I had given kids a sticker to put on the back with the church name and the year. You do want adults (or high school kids) to help. My older kids did great, but a few younger ones still needed help. (I had 2nd – 5th grades). Also, I did not end up giving my kids all the countdown numbers, instead, I just gave them two blank presents that I laminated along with a dry erase marker to easily change days left until Christmas. Here’s a link to the countdown presents if you want to use them. Make sure to recruit plenty of help for your event. Kids always need help whether it is with cutting, tying knots, or getting snacks… This is one of the best times of the year for kids so as a church, we want to help make it memorable when it comes to God’s family. I’d love to hear what you have done for your parties each year. I’m always looking for new ideas. Christmas is all about the presents and the parties, right? Kids sit on Santa’s lap and share their biggest wants. They play fun games at holiday parties, look at Christmas light displays and more. But how much Christ do they get at Christmas? I know Jesus was not actually born on Christmas day, probably not even in winter, but this is the one time of year that most of the world focuses on Jesus so I believe it is a great time to remind our kids of the greatest gift our Heavenly Father ever gave us, His Son! 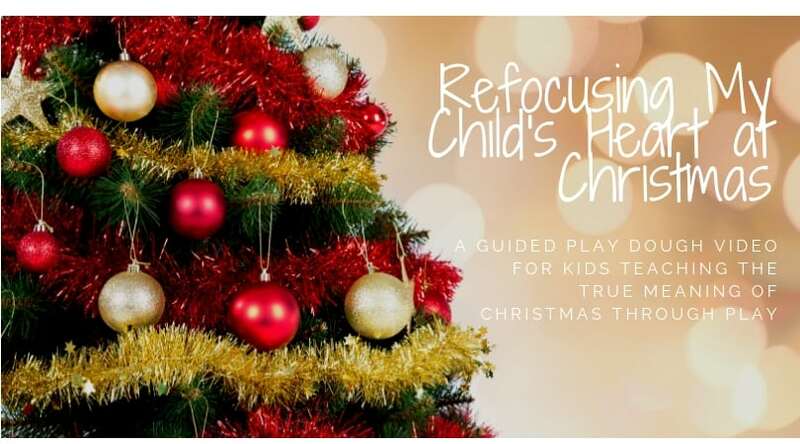 Refocusing My Child’s Heart at Christmas is a guided play dough lesson for kids. 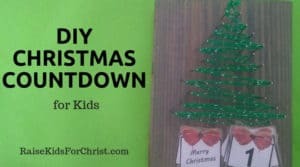 There is a downloadable play dough mat, play dough recipes, suggestions for reinforcing the spirit of Christmas this season as well as information on the science behind the way I teach. Kids learn best through play! I explain a little about this for your knowledge. The guided lesson is just that. 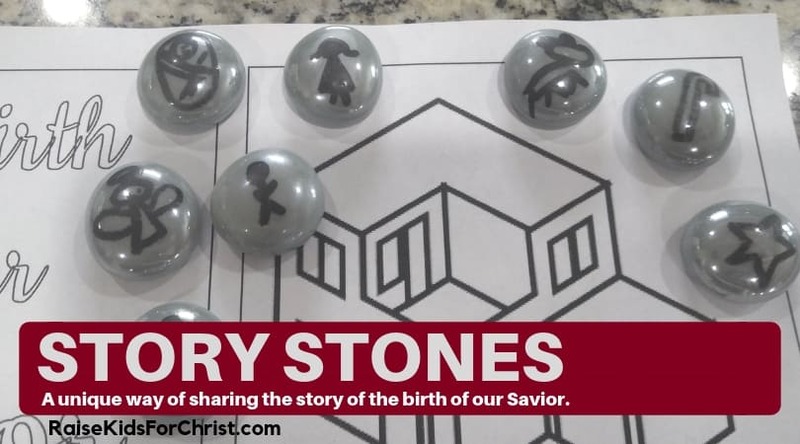 I share the story of the birth of Christ while guiding kids through play dough creations to help put this message to memory. It’s fun AND they learn! My goal is to spread the message of Christ all across America. I want every child to know God, love God and share God. Help me get the story of Christ’s birth into the hearts and minds of children by sharing this with parents, grandparents, children’s ministry leaders, bible class teachers and more. It’s free! Really! There’s not sales pitch hidden in the content. It’s just a message that everyone should hear, especially at Christmas. It’s not some professionally edited video. Nope. It’s just a low key teaching of the greatest gift ever given. For added fun, I found an Advent holiday Play-Doh set. Creative Storytelling of The Witch of Endor to engage kids in God’s word and etching His lessons into their minds to pull from when they need it most in life. This October I have been sharing scary bible stories with my kindergarten through fifth grade bible class on Wednesday nights. The goal is always to get kids excited about God! When they are excited about this, they learn who God is, they develop a love for God and they have a natural desire to share God with friends. 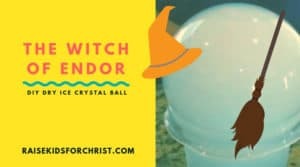 One week they learned about “The Witch of Endor.” Real live witches in the bible? Yes! The bible really does have it all! Of course, I make sure to remind them that God said to stay away from witchcraft! It was not and is not acceptable to our God! For the rest of their lives, when they see this activity, I bet they think of the “Witch of Endor.” And what lesson can they learn from this? King Saul had turned his back on God. He only called on God when he was afraid, so God was not there this time. King Saul was so afraid that he chose to sin even more by seeking out a witch to conjure up Samuel from the dead. King Saul did not get the answer he wanted either. He learned that he and his sons would die, and that’s just what happened. We need to be obedient to God, always. The bible tells us that sin leads to death. Sure, we will all mess up from time to time and God will forgive us, but we should not call on God only in times of trouble. That’s not a good relationship. And when we are afraid, do not make matters worse by adding sin into the mix. That’s just asking for more trouble. Trust and obey God. Grow a real relationship with your Heavenly Father who loves you. It’s an awesome lesson to learn any time of the year, but it is especially fun at Halloween. If you have not subscribed and want more fun ideas for your children’s ministry, subscribe today at RaiseKidsForChrist.com to receive weekly updates. 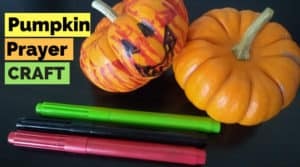 If you enjoyed this article, check out the Pumpkin Prayer. I wish I had pictures of the kids making these to go along with the Pumpkin Prayer! They had more fun than I expected. This month has been all about taking Halloween and turning our focus towards God. Yesterday the kids sat in a circle while they listened to the Pumpkin Prayer and watched as the Jack-O-Lantern was carved. I cheated. Before getting with the kids, I had already cut the top off and cleaned out the inside leaving just enough to pull out for that part of the prayer. If I had thought about it, I would have roasted the seeds and let the kids eat them while listening and watching. I cut the eyes as we talked about “opening our eyes” to see God’s love and cut the mouth as we talked about “sharing” God’s word. You get the idea. And at the end, I placed a flashing LED light inside for the kids to see our lights shining for God in all we say and do! Then it was their turn. No, I was not too comfortable with the idea of handing a bunch of elementary kids sharp objects… so I passed out miniature pumpkins and these awesome acrylic paint markers so the kids could draw their Jack-O-Lanterns to take home with the Pumpkin Prayer. (And down the road they can use the markers to make prayer rocks or story stones.) Then I emailed the Pumpkin Prayer to the parents suggesting that as a family they carve pumpkins as they go through the prayer. We will see how many give it a shot!